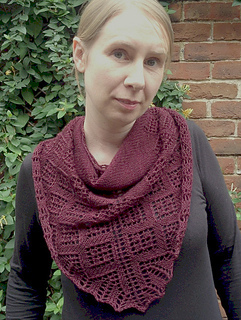 This pattern was designed for the Old Maiden Aunt yarn club, Autumn 2012 and was made available to non-club members in January 2013. The patterns and yarn colours take their inspiration from late Victoriana – especially the works of Sir Arthur Conan Doyle and the adventures of Sherlock Holmes. “Serpentine Avenue” takes its name from the Sherlock Holmes story, “A Scandal in Bohemia” in which Holmes meets his match in the enigmatic and fearless Irene Adler.